Maully who has just broken up with her boyfriend, is heartbroken and unable to move on. But time heals everything. A handsome boy, Keyur, attracts Maully’s attention. Unfortunately, he is in love with another girl. Soon, she falls in love with Viraj. After completing their schooling, Viraj and Maully start their college life in different colleges; whereas, Keyur and Maully end up in the same campus. Now Maully is in a dilemma. The rest of the story talks about how Maully resolves the confusion in her love life. 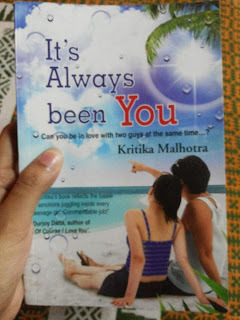 Kritika Malhotra has always been interested in writing, and took up an internship with Viewspaper. She has also had her articles published in other portals. 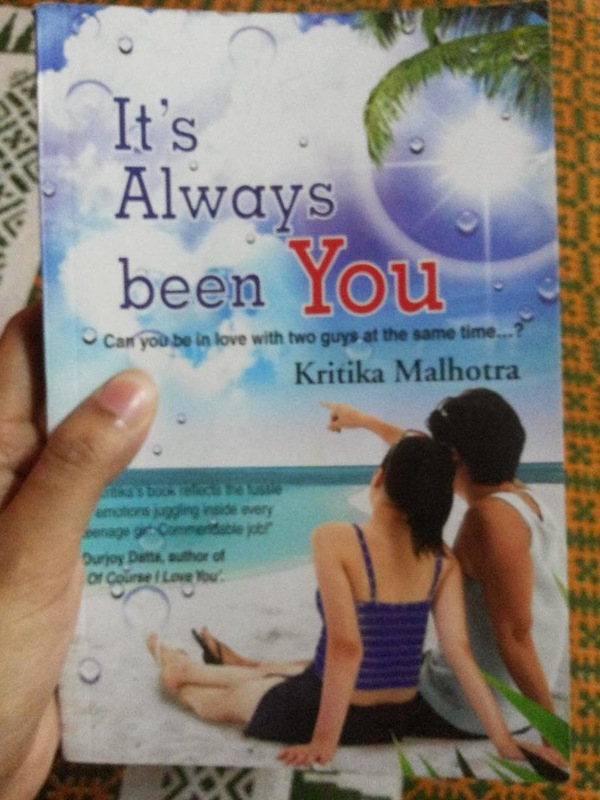 It’s Always Been You is her debut novel. Maully – A teenager with a broken heart... trying to mend it sooner... The she startles herself by falling uncontrollably for handsome and impeccable Keyur... Later she comes to know that Keyur already has a girlfriend.... and eventually fanatically falls in love with another handsome lad, Viraj. The book is concise and doesn’t deviate from the premise – Maully’s love life and the way she handles it. It vividly narrates the uncertainties and adrenaline gush that only teenagers experience. There is a childish innocence and the naughtiness of grown-ups. The book effortlessly takes us back to our school and college days. It makes us think about our own times as a teenager. It makes us miss those days when all we had to worry about was marks... dresses and acne. If you are a teenager yourself, it will turn out to be relatable. It makes you feel as if Maully and all other characters are like you or your friends. Don’t expect anything literary or great from this book. This is an assured time-pass; a kind of book that can be completed in one sitting. There might be many things that might seem to be lame yet discussed extensively. But hey! She is a teenager, so you may excuse – An inner voice would urge. And I am bored with these chick-lit stories and stories that has nothing new to offer... Even the narrative style is ordinary. Above all, is teenage and college life is limited to love and heart-breaks? Think something new... Something out-of-the-box!!! ONLY if you don’t mind to read about puppy-love!